We splurged on high-quality chrome plating earlier in this project. Now it's time to get some other details right. Not only does this gas cap look period-correct, it'll vent the fuel system properly. No more fumes in the cabin. 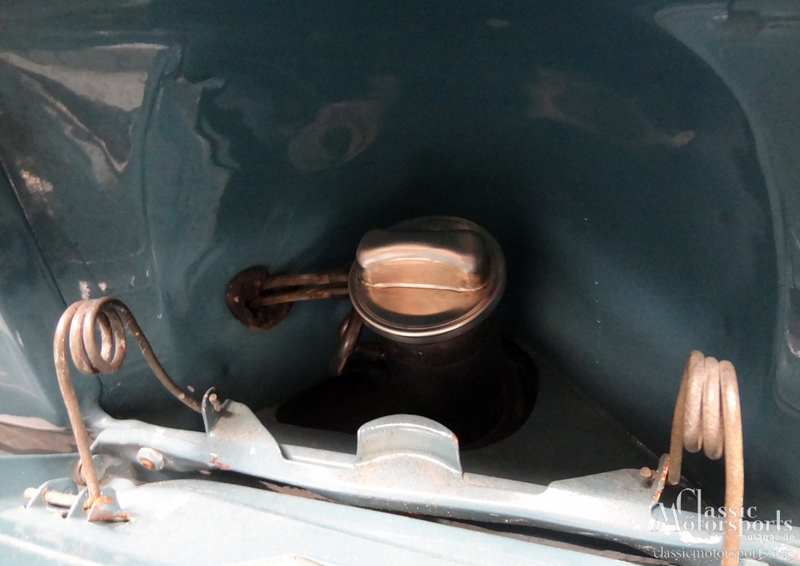 It's a little thing, but they noticed it at the concours: We didn't have the correct crankcase breather system hose. It is always like Christmas when a box arrives from the Mercedes-Benz Classic Center. This time, if you remember, they were sending the stuff they recommended after driving our car at Amelia Island. This was nothing really serious, but more some finishing touches to perfect our old girl. Included in the box was a fancy new white shift knob to replace our worn-out black one. Now our shift knob has numbers we can read and it matches our white steering wheel. 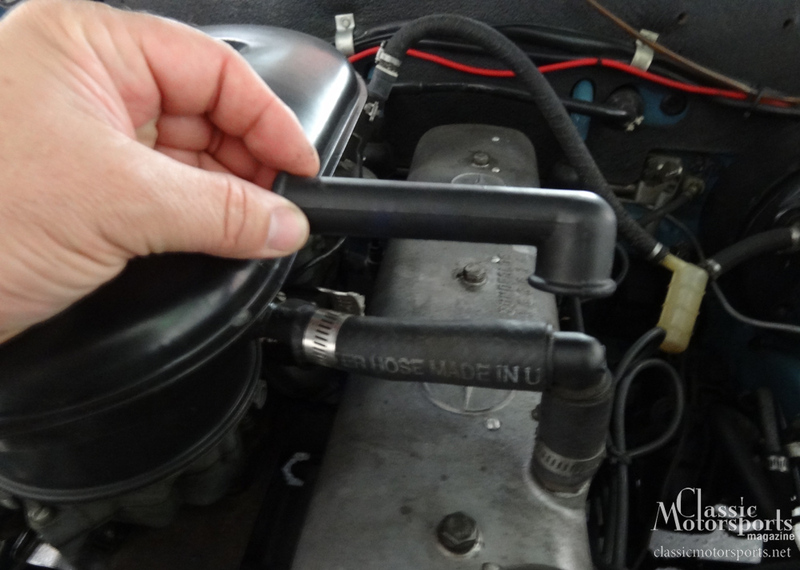 We got the right hose to let blow-by get into the air cleaner from the valve cover. We had a homemade affair before that. We also got the correct gas cap. That will prevent fumes from getting into the car when the tank is totally full. Finally, we were missing two little rubber bumpers on the nose that keep the grille from rattling against the body. The details make the difference. 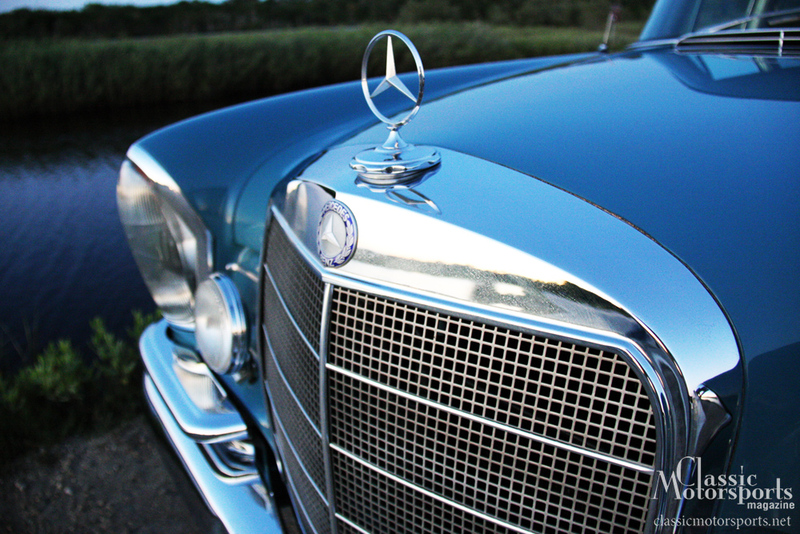 By putting just $132 in their PayPal account, Mercedes-Benz Classic Center solved a bunch of niggling problems and cosmetic issues. We’ll update you occasionally, but this project is officially complete now. The stories of our exploits are still running in every issue of Classic Motorsports, so make sure you pick up an issue at /subscribe. Germans with American fins? In your mailbox six times a year. Subscribe now. Autocross Our 230 S? Yeah, We Did That.